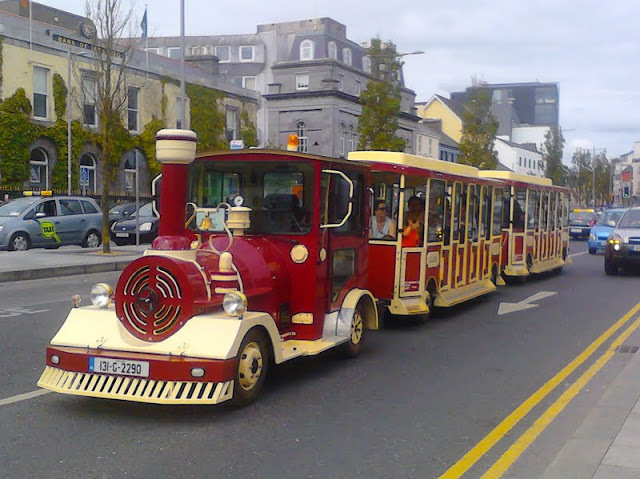 Galway Tourist Train started running between Prospect Hill (opposite TK Maxx) and the acquarium in Salthill, in late May 2013. 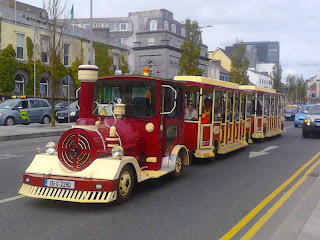 The service operates on a hop-on, hop-off basis via a number of tourist sights in Galway City. It is advertised as operating year-round: timetables are likely to vary according to the season. See their website for fare and timetable information.